Karina's Kreations: Succulents Spring Stamp Camp Card! Succulents Spring Stamp Camp Card! I'm running my spring stamp camp today and this is one of the card we'll be making! 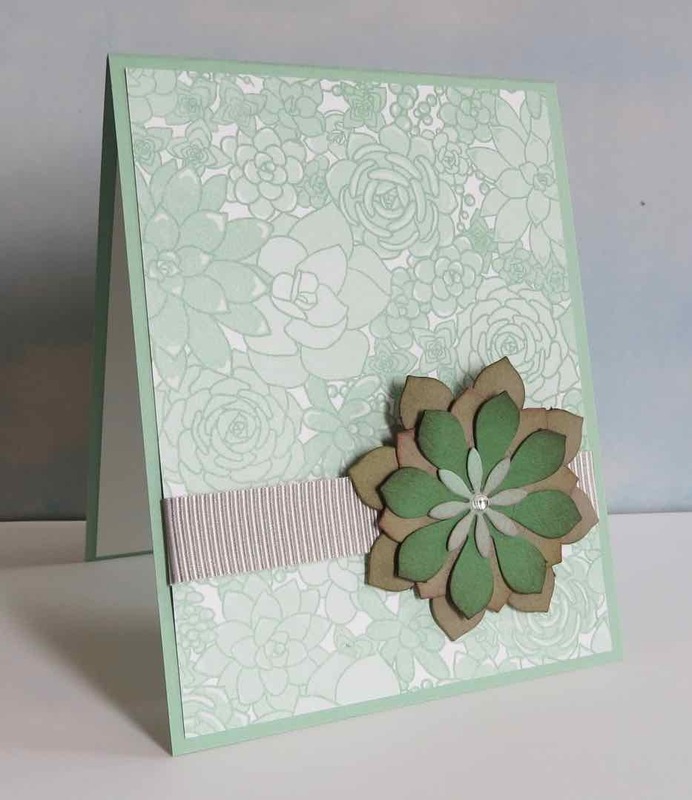 We are using half a vertical garden project kit #143635 to make all the projects but if you want to make one or two cards you can buy the succulents bundle which includes a Oh So Succulent stamp set and the Succulents framelits die. The bundle number is 145184. The bundle is discounted by 10% and you will receive a free sale-a-bration item as well. 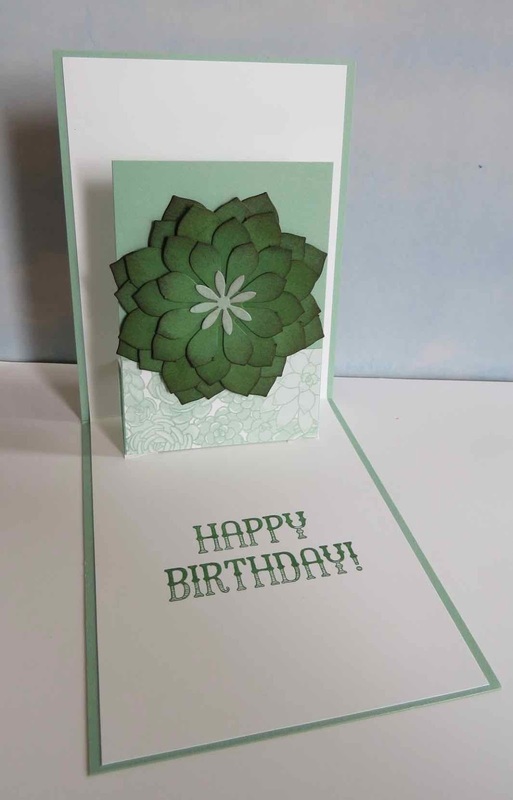 Stampin'Up has a designed a product suite around this bundle which includes the Succulent Garden Designer Series Paper #142778 and Succulent Garden card stock #142779 and coordinating ribbon #142781. This fun card has a pop up element inside the card. The greeting is from the Window Shopping stamp set #143265. I hope my friends like making it today. If you missed the class, I have detailed instructions for the projects and am happy to cut you a kit to go.